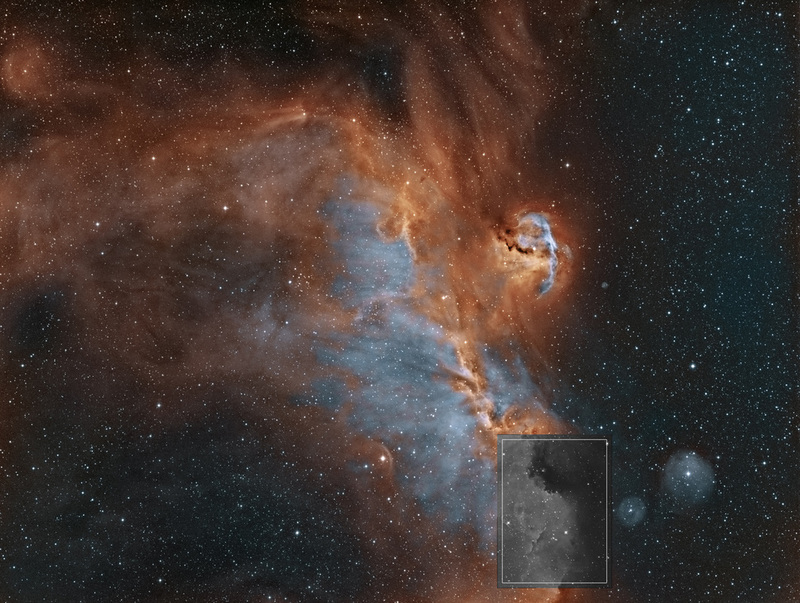 This shows you where this part of the Seagull nebula is located in the larger nebula itself. 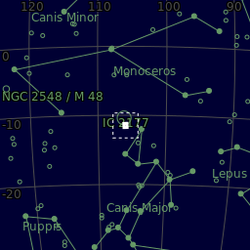 IC 2177 is a region of nebulosity that lies along the border between the constellations Monoceros and Canis Major. It is a roughly circular HII region centred on the Be star HD53367. This nebula was discovered by Welsh amateur astronomer Isaac Roberts and was described by him as, "pretty bright, extremely large, irregularly round, very diffuse." 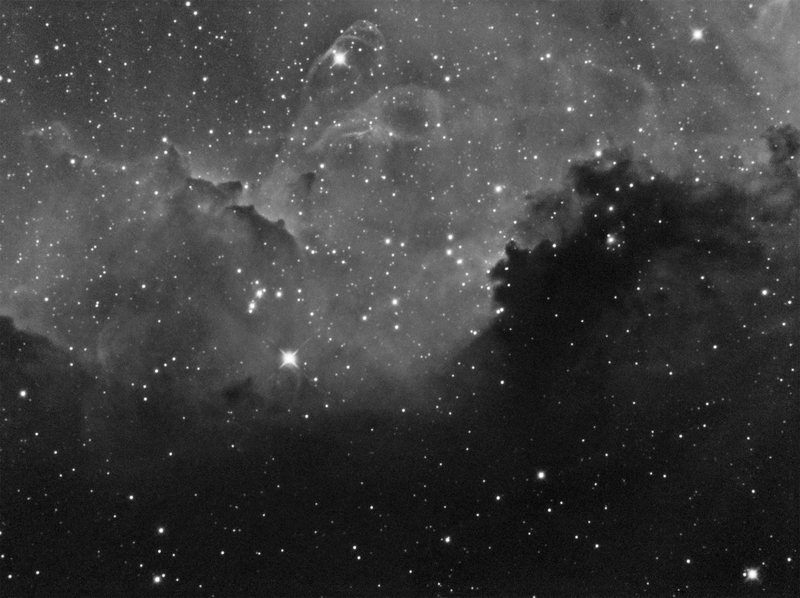 The name Seagull Nebula is sometimes applied by amateur astronomers to this emission region, although it more properly includes the neighbouring regions of star clusters, dust clouds and reflection nebulae. This latter region includes the open clusters NGC2335 and NGC 2343. Totalling 12 hours of exposure.